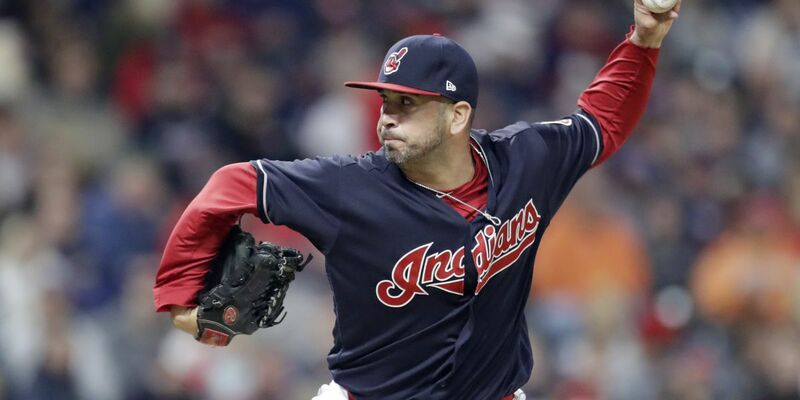 CLEVELAND (AP) — The Cleveland Indians have re-signed free-agent reliever Oliver Perez for next season. Perez appeared in 51 games last season for the Indians, who signed the left-hander in June and added him to one of baseball's best bullpens. Cleveland now needs Perez more than ever after losing closer Cody Allen and elite lefty Andrew Miller as free agents this winter. Perez's deal includes a vesting option for 2020.